To access the CMS library website page, click on the photo above. 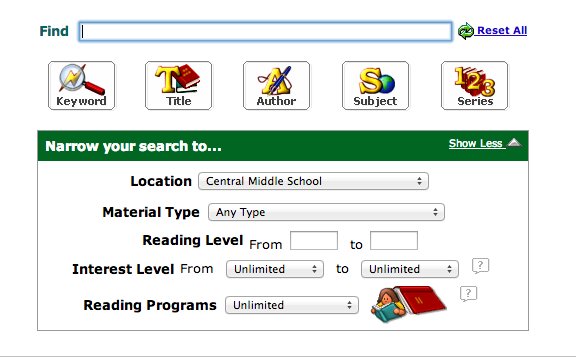 To directly access the CMS catalog to search for books, click on the picture below. For the home page to the Musser website, click the photo above. To directly access the Musser LIbrary's Teen page, click on the picture below.